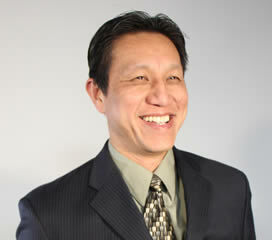 Mr. Tran has more than 25 years of experience in CADD drafting and is working toward his architectural registration. He is an extremely efficient and dedicated designer/drafter. At Interactive Resources, he instructs personnel on the latest CADD techniques and software updates, and helps with computer management and maintenance.He is responsible for the production of site plans, elevation drawings, floor plans, section illustrations, and construction documents for both public agency and private sector projects. He also performs site observations and inspection services. He has further developed his computer drafting skills by mastering several desktop publishing programs, such as CorelDraw, DrawPerfect, Illustrator and PhotoShop for specialized graphic presentations. He also develops Building Information Management (BIM) 3D models in Autodesk Revit.